Scottish Deerhounds can’t be trusted with non-canine pets, but they get along with other dogs and love children. 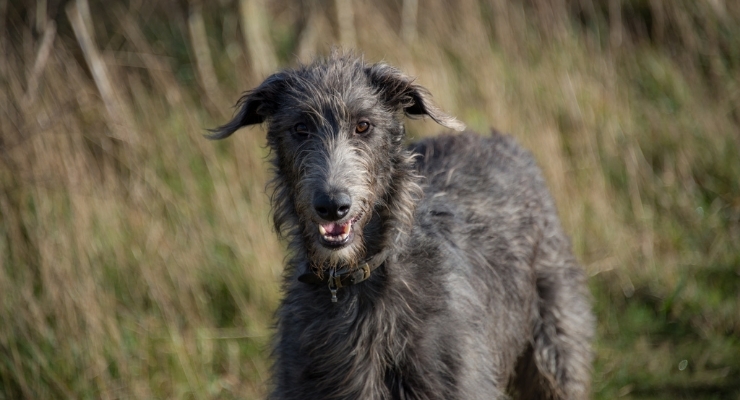 The Scottish Deerhound looks similar to a Greyhound with a coat. These sight hounds are one of the oldest breeds of dog. They are tall, large dogs with big bones. Their noses can be blue or black, and the eyes are either brown or hazel. The ears are set high and folded, and the long tail hangs close to the ground. The coat — which comes in black, brindle, gray, blue gray, sandy red or fawn, with possible white coloring on some areas — is harsh and wiry with a softer coat on the head, belly and chest. According to the American Kennel Club (AKC), historically, breeds were listed according to their purposes as Irish Wolf Dog, Scotch Greyhound, Rough Greyhound and Highland Deerhound. 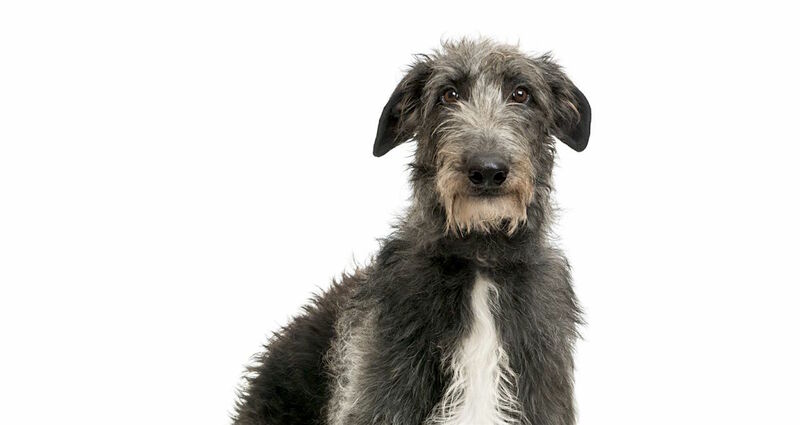 But the breed was specifically identified in the 16th century, with the term “deerhound” added because the breed excelled at hunting and killing deer. At one time, the Scottish Deerhound was so treasured that anyone with a rank lower than earl was prohibited from having one. The exclusivity of the breed may have almost cause its extinction. The breed became rare in England and Scotland when the Greyhound gained favor. Archibald and Duncan McNeill set out to restore the breed and successfully increased the number of Scottish Deerhounds. The breed we see today closely resembles that found in records from the 18th and 19th centuries. In 2011, a Scottish Deerhound named Foxcliffe Hickory Wind won Best in Show at the Westminster Kennel Club Dog Show — it was the breed’s first such win at the famed annual dog show. The breed is gentle, affectionate, loving and loyal. The dogs are close to their families and are usually friendly with everyone they meet. They are great with children and other dogs but should not be around non-canine animals because of their strong hunting instincts. They are quiet dogs who rarely bark. MEDIUM: Scottish Deerhounds should have a long, daily walk. These active hunters may enjoy being jogging companions. While outdoors, keep them on a leash or exercise them in an enclosed or secure area because of their hunting instincts. A yard would be appreciated by these dogs but is not required. As long as their exercise needs are met, they can do well in apartments. MEDIUM: As with all dogs, maintain a regular routine of trimming the nails, brushing the teeth and cleaning the ears. 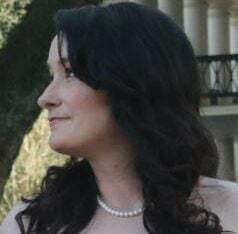 Remove ear hair as needed, and brush their crisp, wiry hair a few times per week with a steel comb, slicker brush or both (the steel comb would be more comfortable in sensitive areas). Bathe as needed, but not too frequently because it can significantly soften the coat. For pets, this is fine, but Scottish Deerhounds participating in dog shows are expected to have the breed’s standard wiry coat texture. Keeping regular veterinary appointments and feeding a quality diet complemented with exercise will keep your dog healthy. Scottish Deerhounds can end up in shelters and rescues. Start your search with our adoptable dog finder or contact local shelters and rescues in your area. If you decide to contact breeders, ensure they are reputable, get to know them and make sure you don’t observe any warning signs indicating your chosen breeder is operating a puppy mill. Ask about health clearances — tests exist for many of the common health problems in Scottish Deerhounds.